Fall Protection – Demesa Inc.
Skid-resistant feet with built-in leg base support strap that improves stability and strengthens entire system. Cut-resistant pin retention chains to enable extended service life. 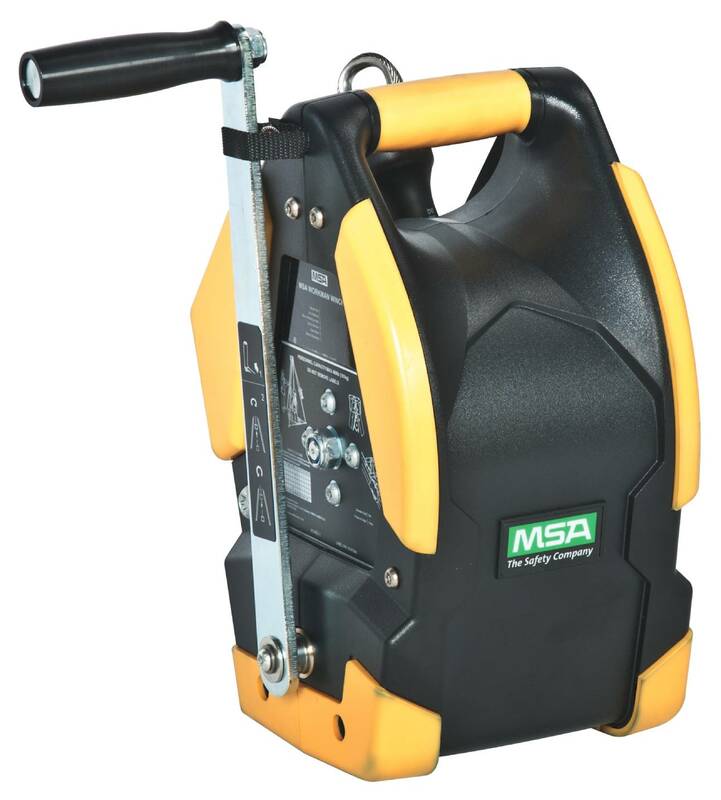 Internal leg-locking mechanism prevents accidental disengagement during use and reduces possibility of damage to mechanism during use or while in storage. 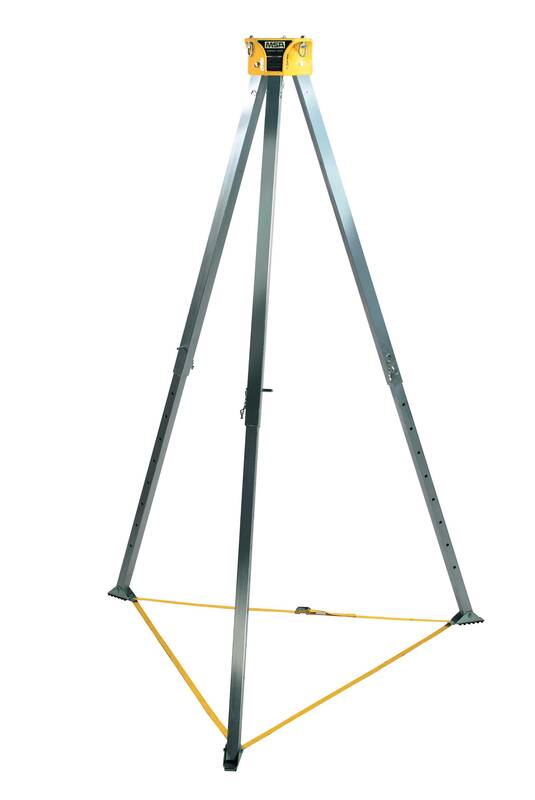 The Workman Tripod is primarily an anchorage connector component of a personal fall arrest system. 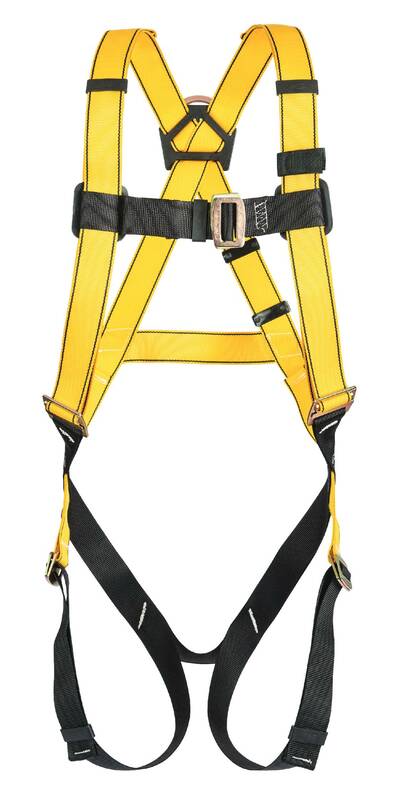 It may also be used for work positioning, ladder climbing, rescue, retrieval, evacuation, confined space entry/exit operations and material lifting and lowering, depending on which attachment elements are included. Use of the Workman Tripod must comply with these User Instructions and, further, is subject to approval under the user’s safety rules and regulations, safety director, supervisor, or a qualified safety engineer. 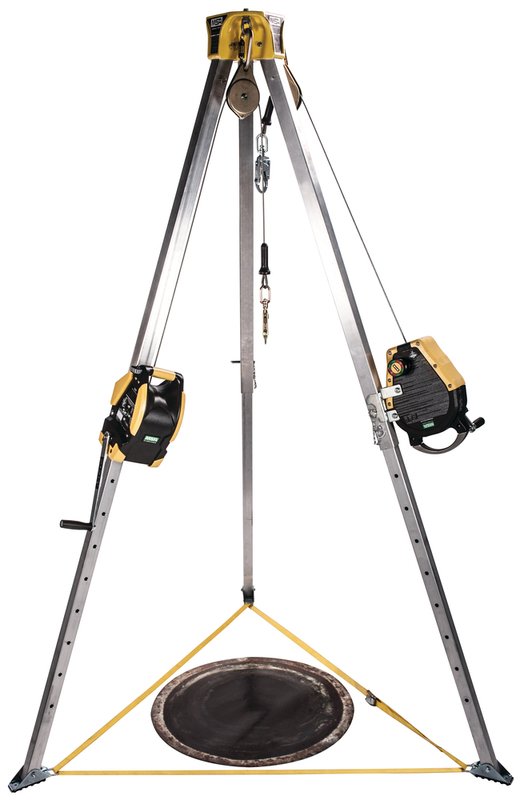 Be certain the selection of the Workman Tripod is suited for the intended use and work environment. 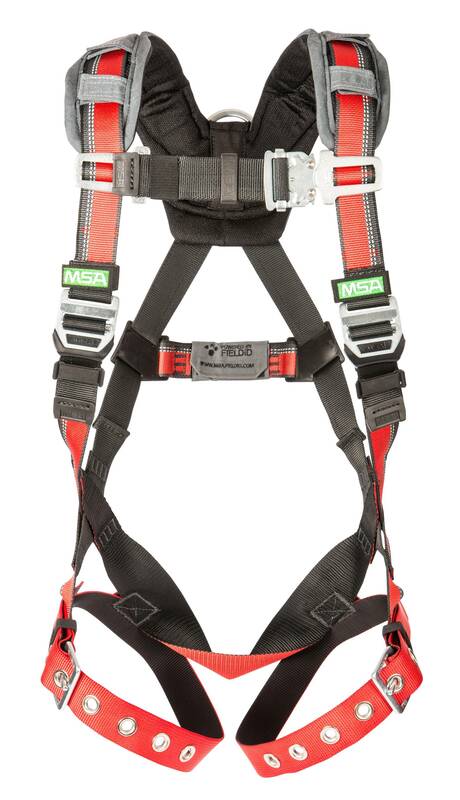 MSA’s new EVOTECH Full-Body Harness offers the latest design features that improve user comfort, ease of use, durability, and user safety. The EVOTECH harness has Nanosphere® coating on the webbing that repels grease, dirt & moisture. Approvals CSA Z259.10-06.